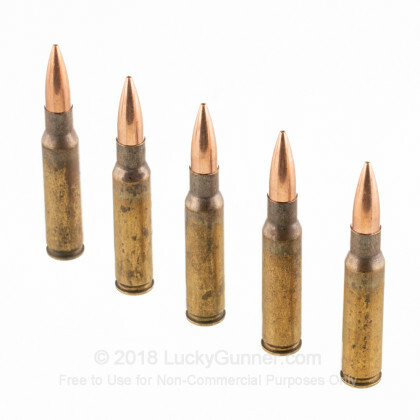 This XM118 ammo is manufactured at the Lake City Army Ammunition Plant (LCAAP) and is designed for very accurate, very long range shots out of your 7.62x51mm chambered rifle. This XM118 ammo comes loose packed in 500 round cases and is considered military seconds. 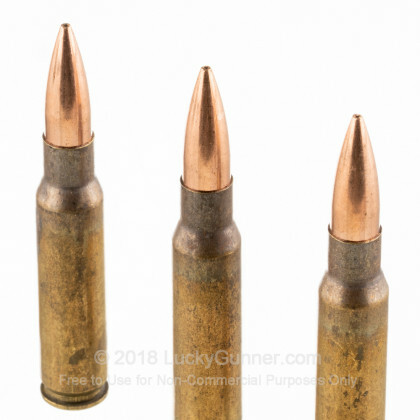 This ammo is still very accurate and reliable. 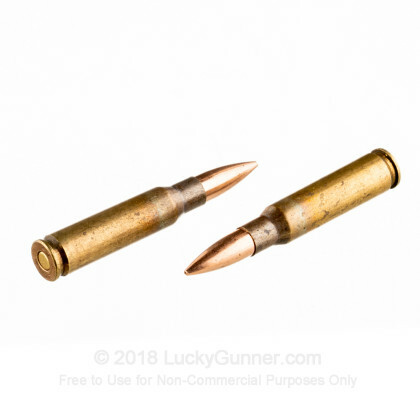 Military specifications are very stringent and if just a few rounds out of a huge batch fail specifications, then entire lot is sold to the commercial market as seconds. This fact presents an awesome deal to avid long-range match shooters getting to benefit from the huge production scale of our military which helps reduce the cost as well as getting to ride on the coat tails of our military's R&D expenditures. Additionally, this brass is manufactured on mil-spec production lines which require evidence of the annealing process be left on the brass near the neck of the casing often referred to as the iris. This is the darker residue that is visually noticeable around the case neck. Both commercial and mil-spec brass undergoes this same annealing process which make the brass stronger and less brittle. The annealing process essentially runs the brass through a series of flames which heat the brass having the affect of re-strengthening it in its final shape. Commercial brass is then re-cleaned after it has been annealed to make it cosmetically more appealing for the commercial market. Military requirements on the other hand place a larger emphasis on the structural integrity of the casing so they require that evidence that the brass has been annealed remain on the brass. Try a case today to take home the next trophy at your local range. 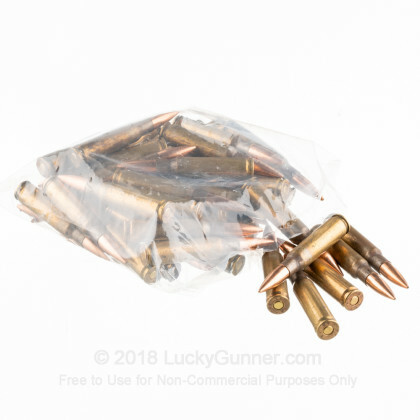 This ammo is brass-cased, boxer primed, non-corrosive, and reloadable. I just t got back from the range today using the XM118-LR for the 1st time I was very impressed with this ammo. I have a Tikka T3 Tactical, 1:11 twist. my best today was a 1.5 inch group at 500 yards from the prone position. I will be buying more of this ammo. As good as my handloads. If you do not handload, shoot greater than 600 yards, have a rifle worthy of sub-MOA groups, then this round will serve you well. Sub MOA at 100, just a little more than 1 MOA @ 200 with Howa 1500 Axiom. Charge fires smoothly. Groups as tight as many hand loads. Exelent quality and good value. Consistant performance from both my Remington 700 and Armalite AR10. Sub MOA groups from both rifles. 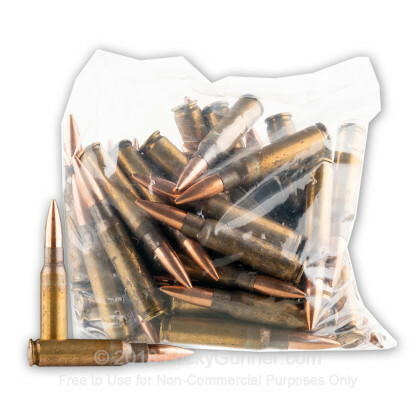 We also have this 7.62x51mm - 175gr HPBT XM118CS LR - Mil Seconds - Lake City - 500 Rounds Loose ammo in stock in a bigger quantity.